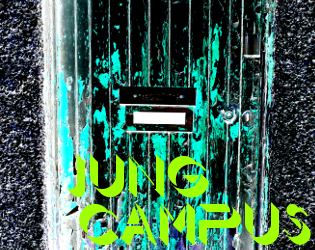 "Jung Campus" is my second game made in Bitsy. It's an adventure game that features a little puzzle solving and some exploration as well. You may find the game too easy or you may find it too hard, I'm not really sure. If you enjoyed the soundtrack to the game, I will be releasing a compilation soon. So just follow my page so you can find out when it comes out. I want to extend a special thank you to Adam Le Doux for designing the Bitsy game engine that I used to make "Jung Campus." While I am much more of a composer and sound designer than a game dev, I love telling stories and creating worlds for people to experience. With the bitsy engine, Adam has given us a way to do that without having to adopt more complex systems. You can follow Adam here. I hope you find enjoyment in my work. There will be much more to come.